Beautifully ruffled petals resembling the wings of a butterfly, this mix blesses your garden with intricately colored blooms atop diminutive spikes. Excellent choice for patio planters and perennial borders, our Butterfly Mix offers blooms in striking color combinations. 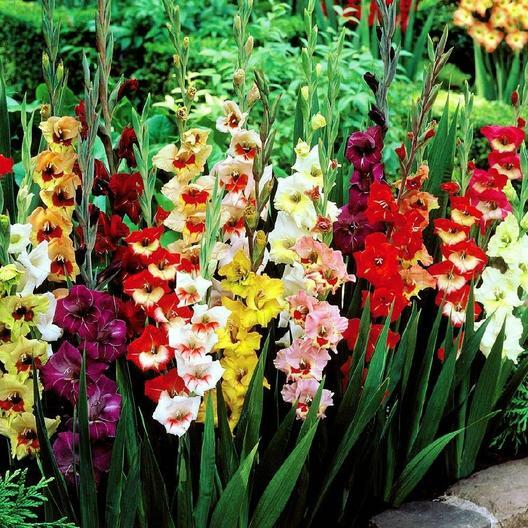 Perfect choice for gardeners with smaller spaces where larger gladioli are impractical.